Dainese showed off its 2017 product line at Crankworx in Whistler. With a moto heritage, Dainese understands the science of protection. They focus not only on the absorption and dissipation of impact, but also on fit and articulation. They know that even with the most protective materials available, they are more effective if they are fitted close to the body and conform with all joints through all the movements of the mountain biker. And finally, they focus on weight and breathability. The less protection interferes with a ride, the more likely the cyclist is going to wear it and be protected during those crashes that nobody plans on. Very pliable material conforms to knee. Dainese is thrilled to see the trend of wearing protection become more widely accepted in mountain biking. It is simply too obvious to them coming for a motorcycle background, but they understand that it takes time and several iterations to get widespread acceptance. 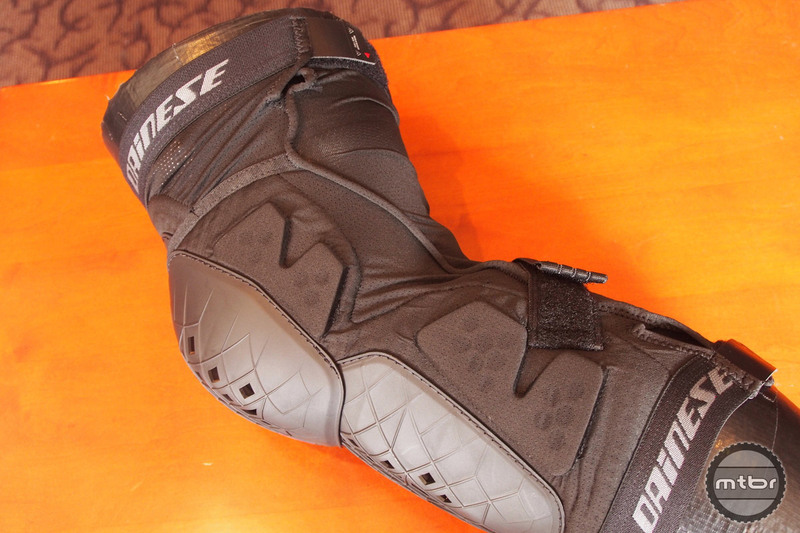 With the rise of all mountain riding, Dainese had a runaway hit in their hands with first Trail Skins knee pads. But even as that product was flying off the shelves, they already wanted to update it with a more form-fitting option that’s lighter and with better articulation. 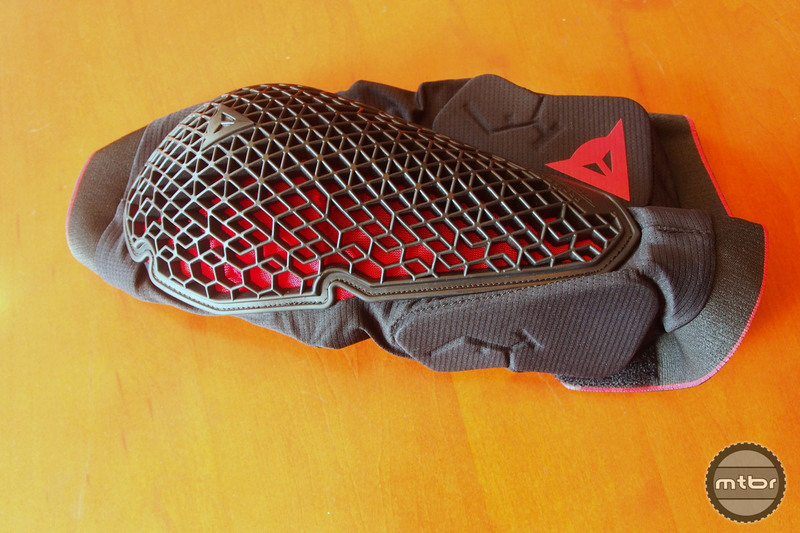 Now we see the next generation of Dainese mountain bike protection. Great ventilation and articulation on the new knee pads. The successor to the Trail Skins, the second generation steps up in breathability, ergonomics, and protection. This new pad articulates very well, as it delivers good pedaling and all-day comfort, while still meeting European standards for impact protection. Additional side padding protects the critical points including a high, frame-side pad that guards the inner knee from the bike. For elbow pads, unrestricted arm movement and all-day comfort while still meeting European standards for impact protectors is the end result. 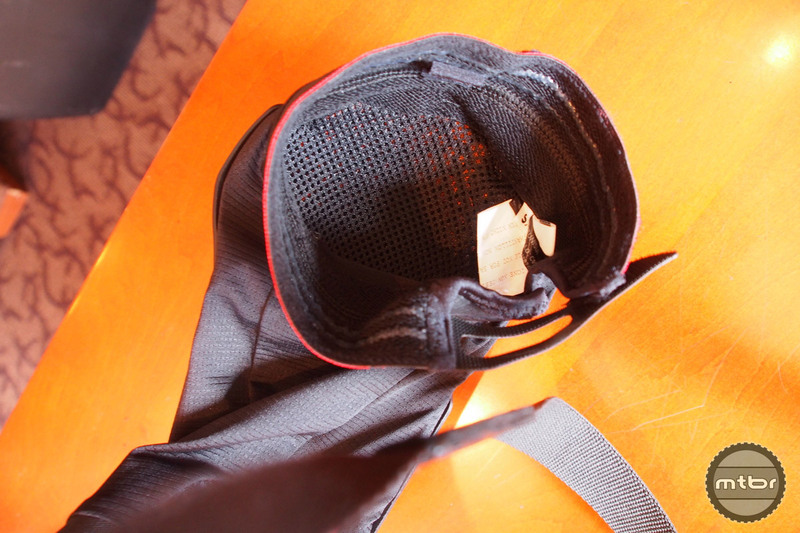 Micro-adjustable elastic bands placed at the top and bottom openings ensure a customized fit for every rider, for elbow pads are trickier to keep in place than knee pads. 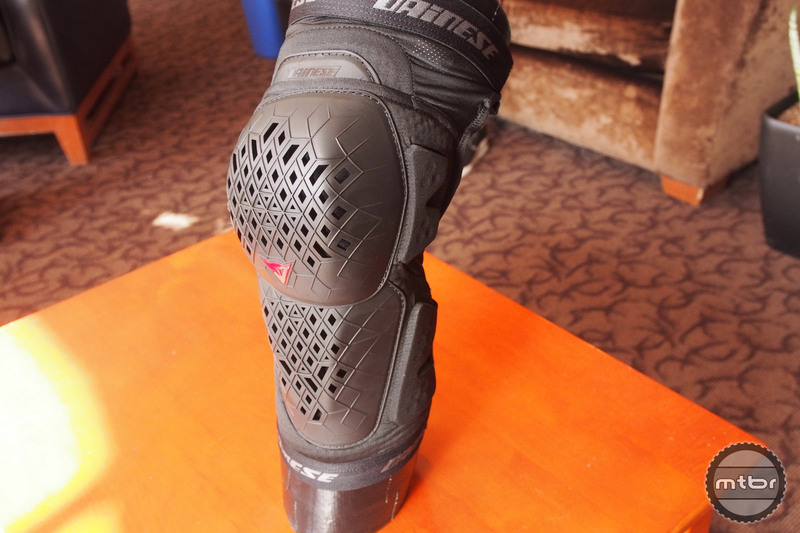 The Armoform knee pad protects and articulates very well. 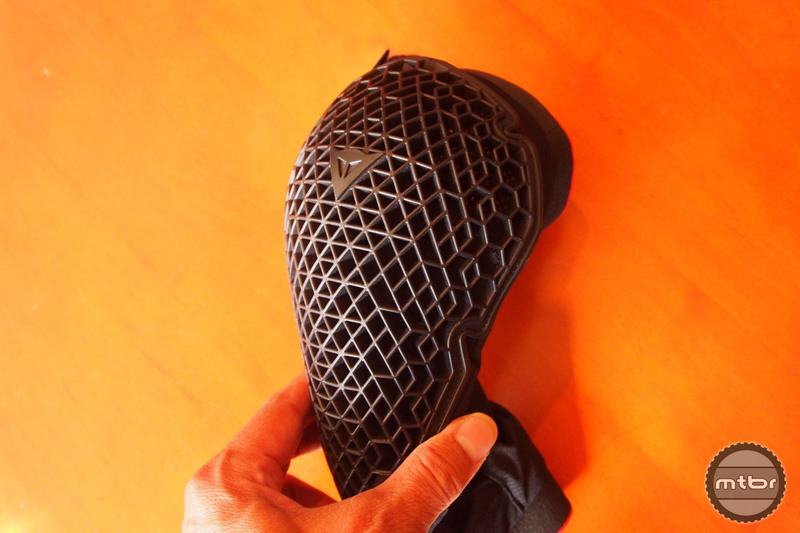 These new articulated hard-shell kneepads is for heavier duty riding. The articulated joint allows the guard to extend when the knee bends, hence following joint movements well, ensuring the pads to stay in place. We’ve been using these pads for a couple of months and we noticed two things. One is they are some of the best pedaling ‘hard’ pads that we’ve used. The plates sliding inside each other without much contact results in freedom of movement. And even in the most bent position, there is no unprotected area of the joint left by gaps. The second thing we observed is the hard shells dissipate energy very well. To test it, we took a hammer and hit the pad very hard against our knee cap. It felt like getting hit with a soft blunt object, as the hammer blow was dissipated across a large area, and the inner pad cushioned the blow. Side protection is excellent as well.